The Nigeria Labour Congress, NLC, on Sunday suspended its nationwide strike called to protest the government’s decision to increase pump price of petrol and hike in electricity tariffs. The NLC president, Ayuba Wabba, said the union resolved to suspend the strike with immediate effect. He at the end of an emergency meeting of the union’s National Executive Council (NEC) in Abuja, called to review the impact of the strike. A communique also signed by the General Secretary, Peter Ozo-Eson, said after due consultation with its constituents and affiliates, the NLC also resolved to resume negotiations with government on the twin issues of the hike in electricity tariff and an increase in the pump price of petroleum products as well as any other issue that may arise during the meeting. Negotiations had stalemated after the government refused to listen to the NLC on its demands. Mr. Wabba said the labour movement remained committed to genuine dialogue within the framework of internationally established and recognized principles of representation. “The Congress will continue to resist wrong legislations, policies and programmes and will always act in the best interest of Nigerians as it remains the only pan-Nigerian organisation not affected by religion, region, creed, partisanship or primordial sentiments,” the NLC president said. During the meeting on Sunday, he said NEC had reviewed the protest action and its impact across the nation, noting the sacrifices of its members, particularly responses from Nigerians, government’s attitude and the brutality of the police in some states where labour leaders were intimidated, harassed, arrested and detained unjustly. 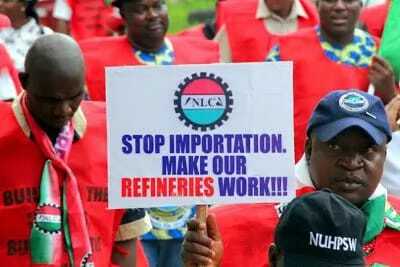 Despite the decision to suspend the strike action, the NLC president said NEC was still convinced that the protest was still the best, as it helped in highlighting the twin issues of unjustified and illegal hike in electricity tariff and increase in the pump price of petroleum products. “NEC adjudged the protest action to be a success in spite of both internal and external challenges. NEC reiterated the correctness of its position on the twin-issues of electricity tariff hike and astronomical increase in the pump price of PMS and the hardship they portend for Nigerian masses,” he said. He insisted that the action was taken in the best interest of the poor and the weak, pointing out that the action drew government’s attention to the dangers of relying on importation of petroleum products as a sustainable strategy for making available petroleum products, expressing the belief time would prove its position right in the days ahead. While commending some concerned Nigerians for intervening, Mr. Wabba said NEC urged the government to play by the rules in its engagement with its constituent unions, interest groups and non-state actors as proof of its commitment to deepening democracy in the country. The strike began on Wednesday following the government’s failure to accede to NLC’s demands to revert to the old fuel price of N86.50 per litre as well as reverse the electricity tariff hike imposed by the Nigerian Electricity Regulatory Commission, NERC last January. The strike recorded low compliance as workers largely ignored its directive to stop work. Some of the union’s key affiliates, the influential Petroleum and Natural Gas Senior Staff Association of Nigeria, PENGASSAN, and the National Union of Petroleum and Natural Gas Workers, NUPENG, also pulled out of the strike. The leadership of the NLC received appeals from the leadership of the National Assembly as well as the National leader of the All Progressives Con­gress, APC, Bola Tinubu, who visited the NLC secretariat in Abuja on Friday to appeal for the calling off of ­the strike.